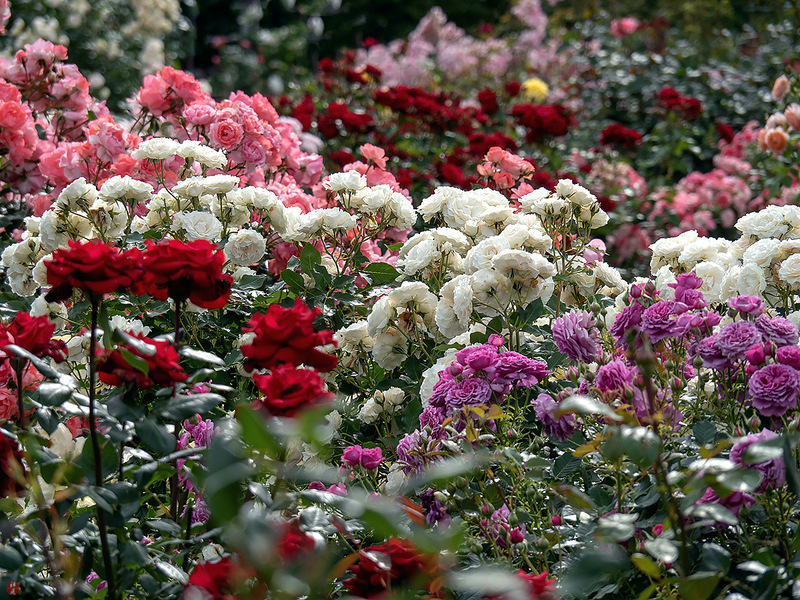 Led by the magic of bewitching colors and enticing scents, I absently strayed into the summer rose garden. In the garden full of the dazzling sunlight, the countless rose flowers were blooming in radiant glory as if to compete with one another in their own beauty and aroma. By this breathtaking beauty of full-blown rose flowers in the sun, I was reminded of the painting entitled "The Path Under The Rose Trellises, Giverny" by Claude Monet, which painting tells me about the profound respect and admiration of this artist for the exquisite impression of sunlight and the sincere beauty of plants.